Liberty is famous for its mini – flower prints and it is now celebrating Tana Lawn cotton promotion. 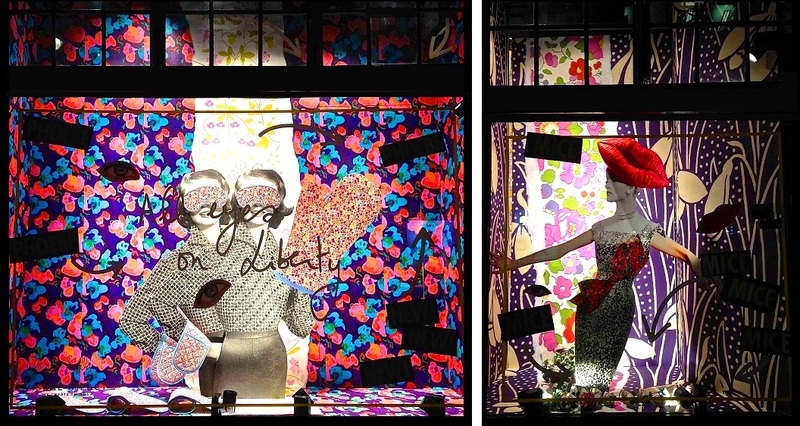 All window displays are designed by the photography, film and collage company Gus & Stella. The concept is quite odd but beautiful. All we see reminds us an imaginary artsy collage sketchbook, which could include the very first sketches for exactly these windows. The use of graphic text throughout the windows and especially the spread word «news» takes us, in some way, before newspaper headlines. Someone could recognize here a common visual merchandising practice, as all VM is “news”. 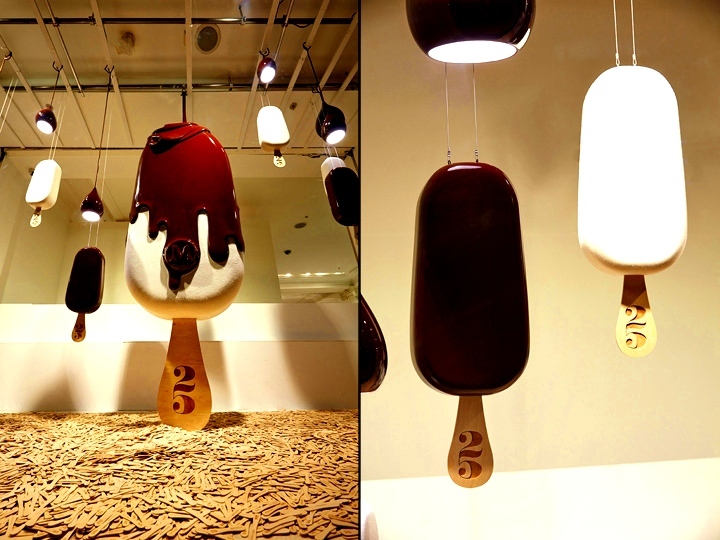 Gentle humour is another aspect of effective visual merchandising and it becomes powerful when it mixes with surprise. The viewer reads the word “mice” reflecting in the narrow window and when he gets closer is able to see the “real mice” that «shocked» the eccentric woman figure. The whole concept mixes surreal – an inner aspect of collage techiques – with a 50’s touch in theme and styling (see the pair of housewife figures behind the oven). That is an interesting combination that serves unexpectedly relatively low-value merchandise promotion. 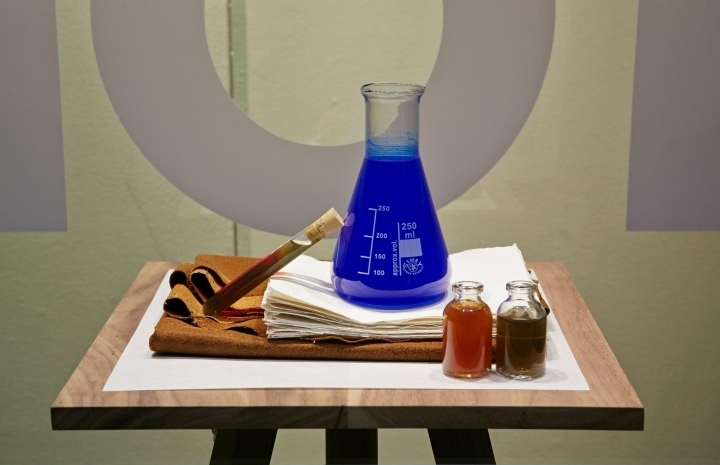 Finally it is true, there is a strategic thinking even behind collage – inspired windows. 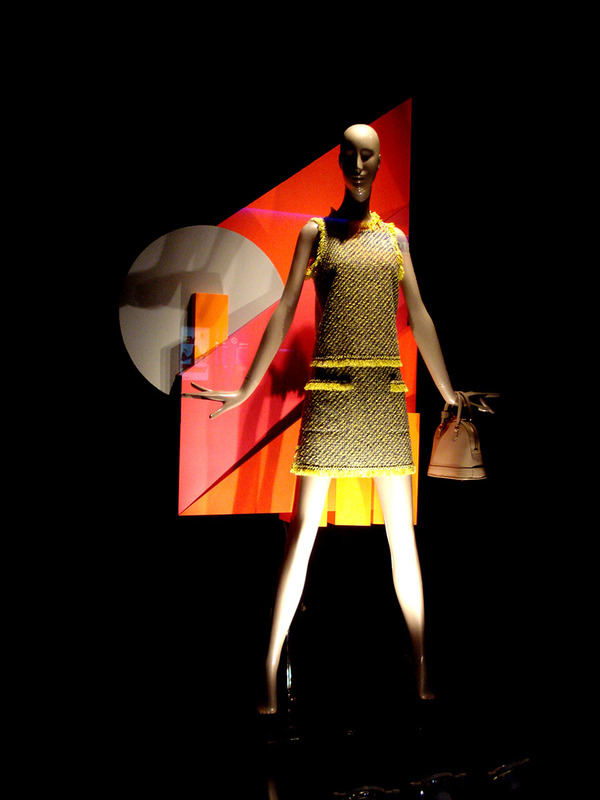 Many of us are really scared of collage techniques, however these can be an asset in the service of visual merchandising if treated just the right way.